Need a roommate in a beautiful 2 Bedroom 2 Bathroom apartment with shared living room and kitchen. Full Amenities. Walking distance to Public, Target, Chipotle and many more places. In midtown. Extremely close to campus. Fully furnished. subleasing apartment for summer c! Hi! I'm subleasing a 1/1 in a 4/4 for Summer 2019 (end of April/May-July). It is a 4/4 but only 3 of us live here and my two roommates graduate in May so they will be gone for the summer! 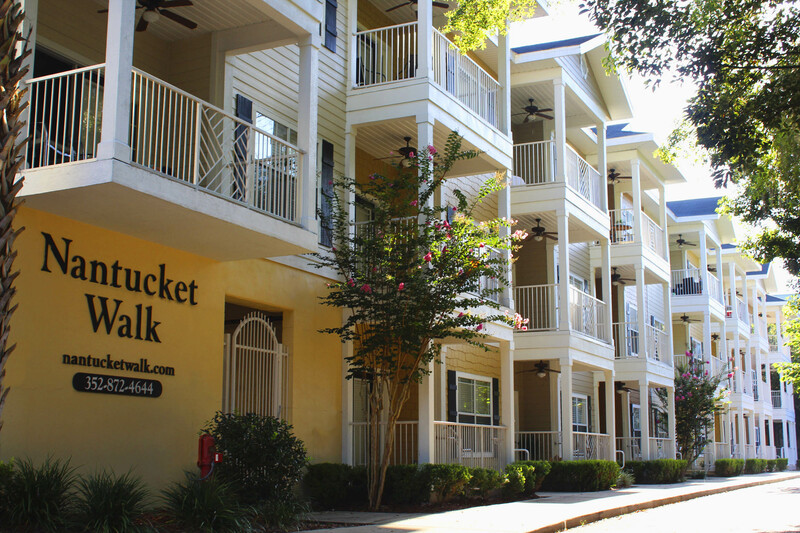 The apartment is at Gainesville Place by Archer which is both close to campus and restaurants, etc. I am paying $509 but I'm subleasing it for $479 + utilities or best offer. 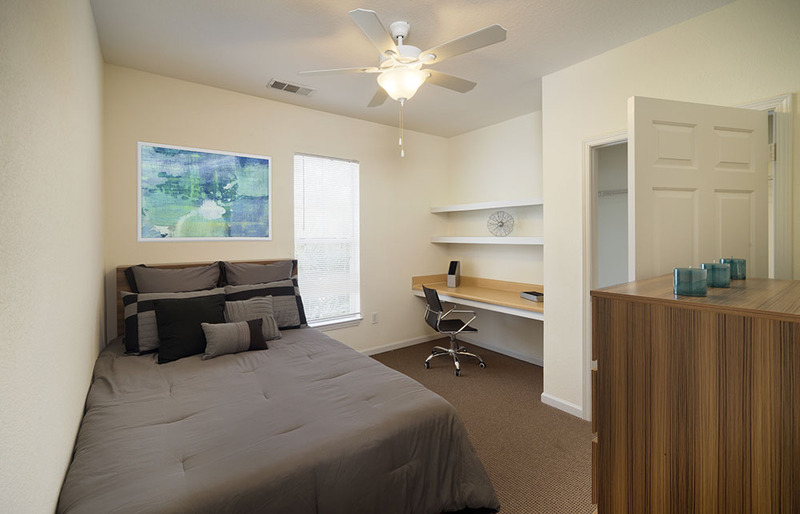 The apartment is furnished and it includes your own room and bathroom, free parking, a study room and a gym. I am looking for someone to take over during the fall term. 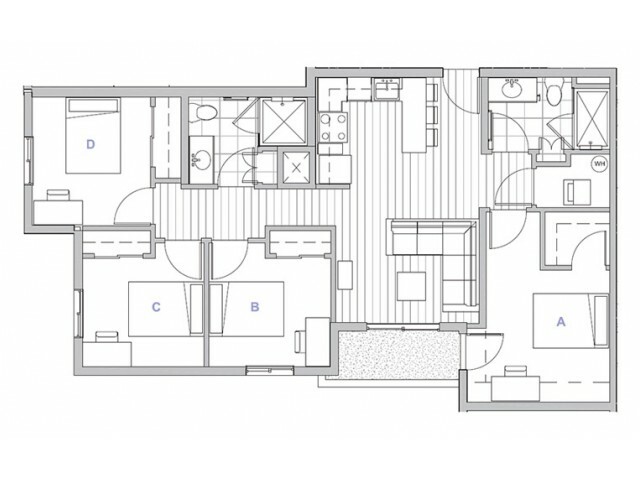 It is a very spacious (1080 sq.  ft.) 2 bed/ 2 bath with an in apartment wash/dryer, granite kitchen counter tops, walk in closets, ceiling fans in every room, and a screened in patio. Rent is $694 a month plus amenities. Looking for someone to take over my 1x1 in a 4x4 for Summer of 2019 at The Nine. Right under the DNA Bridge and a 10 minute walk to campus. There is also a bus stop right outside of the complex and a bus comes every ten minutes. There is a gym, pool, bowling alley, study rooms, and a clubhouse in the apartment. Price is 779/month and everything (water, wifi, electric) is included. Preferably female and the lease would be from beginning of may to end of july. Please e-mail me if interested!! 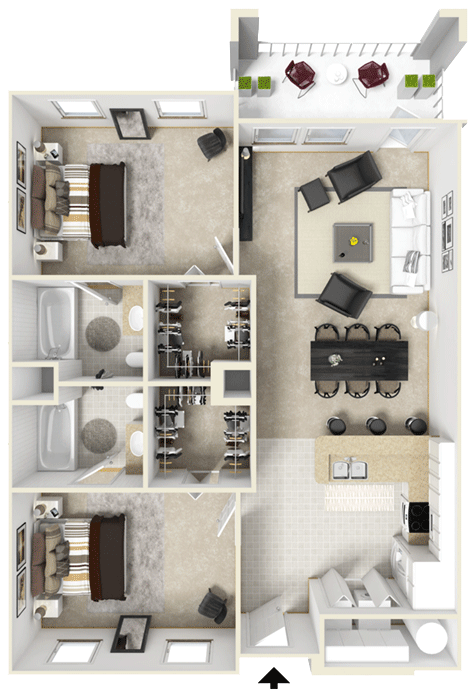 Subleasing one bedroom in a 4 bed 2 bath apartment for the fall of 2019 through 2020! Rent is $800 a month including furniture, pool, utilities, and laundry. The room has a large walk-in closet and the bathroom would be shared with one other girl. The other three girls are very nice and friendly as well. 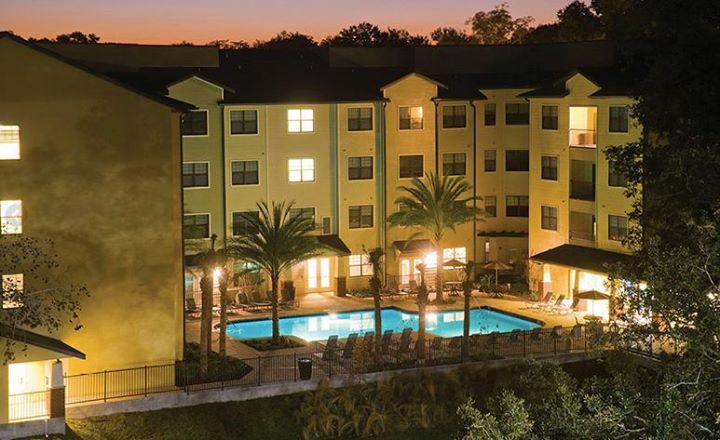 The location is amazing and is just steps away from the UF campus. 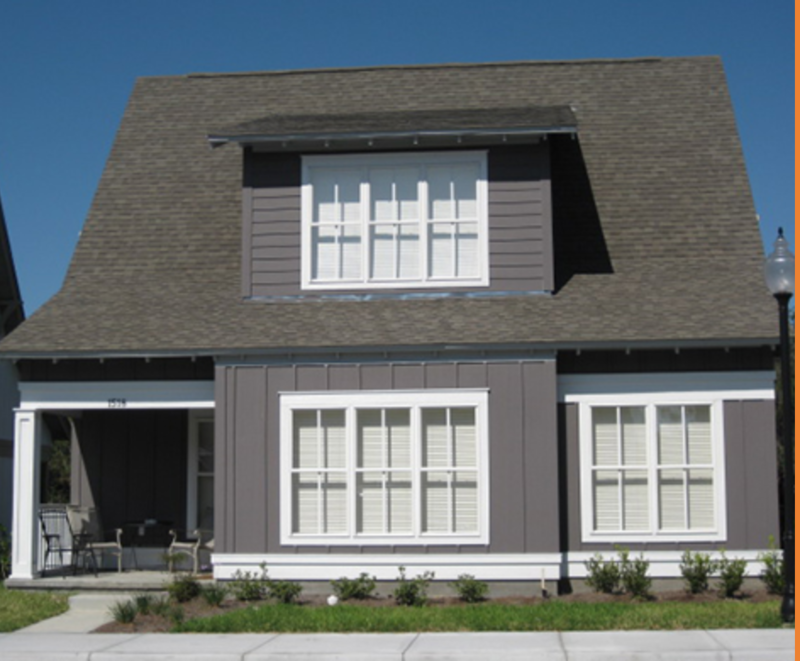 Beautiful three-story with five bedrooms 5.5 bathrooms. One bedroom is empty so 3 roomates including yourself. 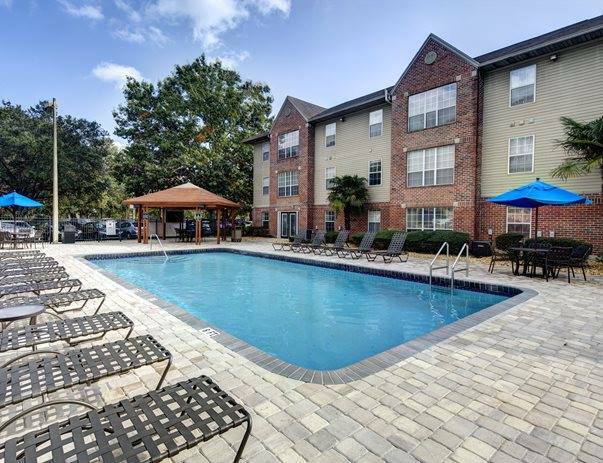 The retreat Gainesville offers many wonderful amenities pool, golf simulator, 24 hour fitness, tanning beds. Offering my large 1/1 in with walkin in closet and plenty of space. Rent is 785 if you rent soon I will brin the price down and utilities included. I stay in a 3bed/3bathroom apartment it will be available on April 1 for anyone looking to stay in town for the summer or looking for a place to live long term this is it my rent is typically $595 a month with everything included in the cost it is fully furnished and everything. If you have any other questions contact me. 1 to 3 rooms available; (4 bedroom apartment). Completely new and re-done- wooden floors, leather sofas, less than one year old appliances fully furnished. Available May 7th, 2018 (earlier if needed). Royal Village Apartments Near sorority row, 2 minute walk to bus-stop (127 route) Utilities included with rent! Spacious rooms, pool, and gym on property. Street Address: 920 SW 6th St.
Hello! My room at Social 28 is up for a summer sublease! My roommates are super nice and the apartment itself is very clean. My room has a bigger closet and the location is fantastic! $120 of utilities is covered every month. In the pictures attached I'm in bedroom A! Contact me if you have any questions! $629 plus overages. All female residents - friendly, calm and clean. Two dogs that are well taken care of and extremely friendly. The sublease includes your own room, bathroom and walk-in closet. In addition, all property amenities will be included in your sublease -- pool, study room, clubhouse, gym. Sublease needs to be from January 2019 - August 2019. I will be moving out of the space during the weekend of December 14th. Subleasing a 1/1 in a 4/4 apartment at Campus Lodge for months of May, June, and July (extension available). Only 10 minutes away from campus! 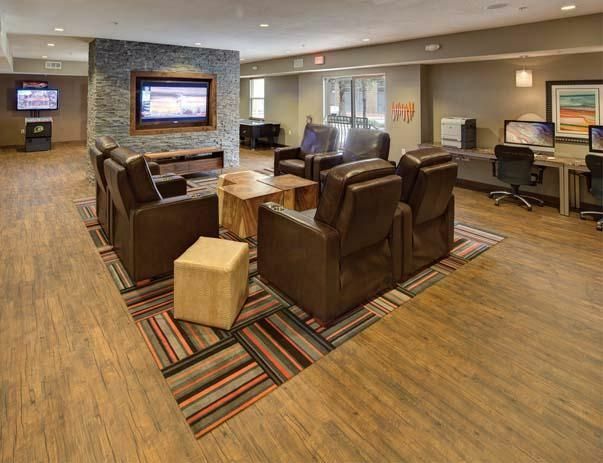 I'm graduating, so option to extend to a full year lease with Campus Lodge is available. 3 Friendly female roommates and apartment is kept clean. Located on the first floor, next to main office and bus stop. Private bathroom located inside bedroom. Fully furnished, has a screened patio and washer & dryer. All utilities are included in price. First floor unit close to the pool and gym. A prime location just minutes from campus, archer, and butler plaza. Multiple bus routes to campus. Lease will run from May 1st - August 4th. Fully furnished, including leather-style seating, New hardwood-style floors, In-unit laundry, Full kitchen with dishwasher and microwave, All new appliances in 2016, Internet and water included, Optional prepaid electricity allowance, Balconies and patios, Individually locking bedrooms. Message for more details. I am looking to sublease, to a FEMALE, my 1 BR/1 BA apartment room, in the Lux13 Apartments (Gainesville, FL). The apartment I live in is a 2 bedroom/2 private bath with a living room, dining room, balcony, and in-unit laundry. 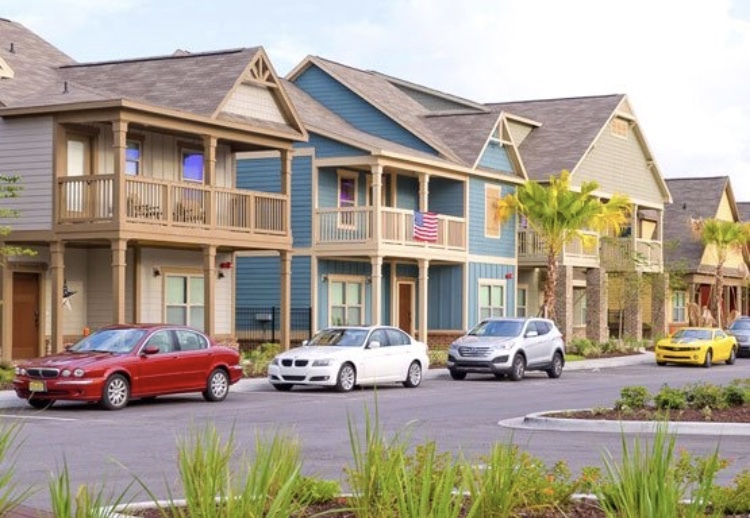 The apartments are about 3 miles from the UF main campus. Rent is $499/month + $55 fee for apartment furniture package - a total of $554/month. Utilities are not included in rent, but they are super low (about $75/month). There is a pool, gym, and free printing! Subleasing a 1/1 in a 4/4 apartment at 2nd Ave Centre located in building 1 (connected to parking garage) and on the first floor. The other rooms are available for sublease as well! 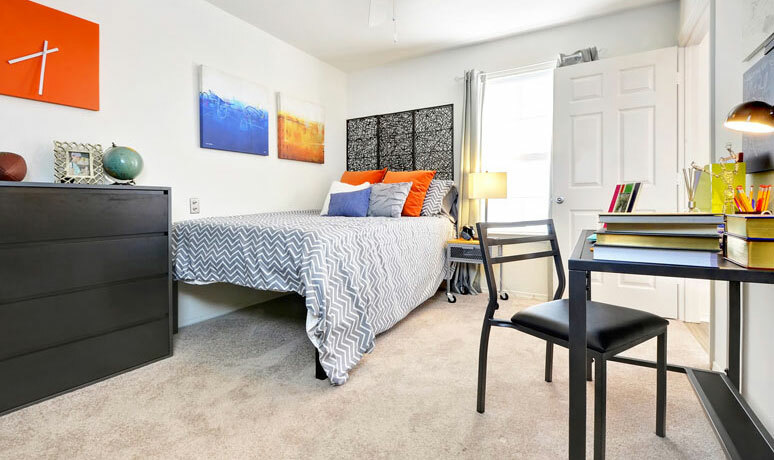 Walking distance from downtown and campus! Includes: -Large gym -Pool -Business center with free printing -Washer/dryer in unit -All wood floor -Bus stop right infront of complex -Gated parking garage -Free parking and parking pass for guest parking Willing to negotiate price! Message me if interested! Looking for someone to take on my lease for August 2018-August 2019. I live in 4/4 with my own bedroom and bathroom. The complex has a gym, pool, computer lab, volleyball court, and also provides wifi. No assigned parking or towing. I live less than 15 min away from campus. The 9,19, 33, 35, 37 buses run frequently. I live less than 10 min from Publix, some restaurants, and gyms. If planning to sign with University Club, this lease would be CHEAPER than what they are currently offering. 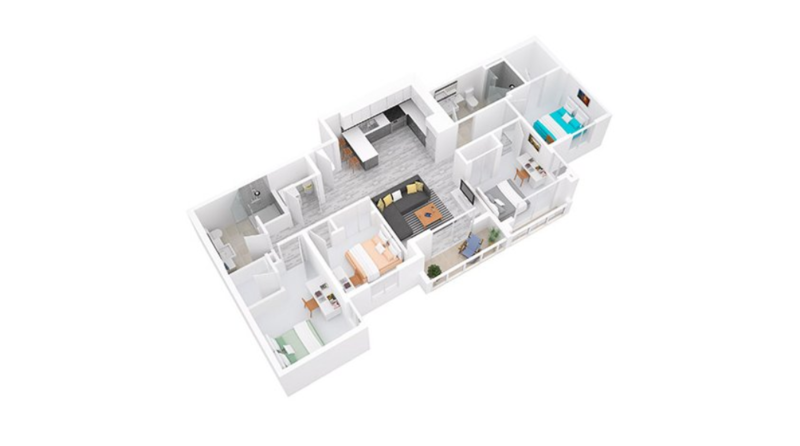 Hello!I am subleasing 1 Bedroom with 1 bathroom at 34th St. apartment for the summer 2018. It is a 4/4 but one roommate is subleasing as well.The other two roommates are very nice.It is an amazing place. You can take 12,35,36,37 buses to the university and supermarkets.It is much more convenient than other places because you don't need to spend much time to wait for buses. Dollar General is beside my apartment. It is furnished and costs 415 dollars each month. Hey! I am subleasing 1 Bedroom/1 Bathroom at 13th St apartments for the summer 2018! (formerly University House complex). 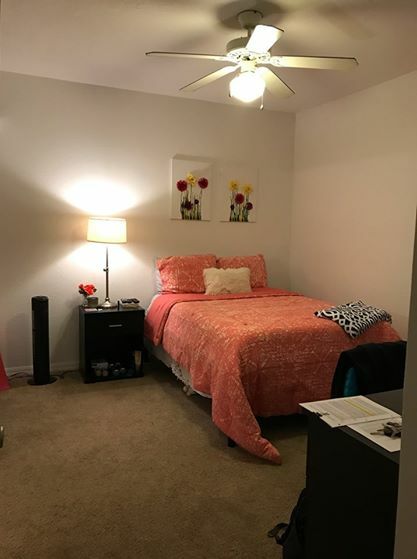 It is a 3/3 but one roommate is subleasing as well so if you're looking for an apartment with a friend, this would be awesome, the other roommate might not be here, but if she is, she is really nice. I have lived here for 2 years and it is an amazing location, very close to campus. 2 bus stops. Parking included. My rent right now is $700 but I am willing to negotiate. Street Address: 725 NW 13TH ST.